This recommndation can be found on Adine’s LinkedIn profile. 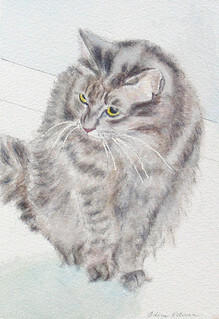 This entry was posted in Watercolors on December 16, 2007 by steven. 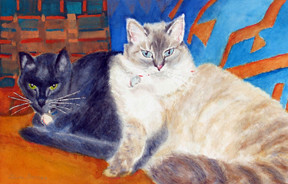 “Over ten years ago our beloved cats, Jody and Shena, died. My wife and I commissioned Adine to create two water color portraits of them. We gave Adine our two best photos although they were admittedly poor quality and bad lighting. Adine was able to cut through the questionable quality photos and capture the “essence” of both cats. The paintings are gorgeous. Now Jody and Shena’s presence continues to grace our lives and home thru Adine’s exquisite talent. 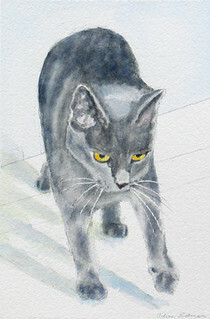 Joe H.
This morning, Adine sold the original of &quot;Cat With Shadow&quot; to a very nice lady she met at the Bellaire Arts Fair. 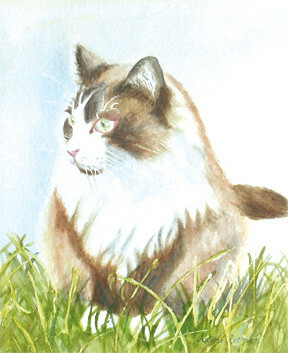 This entry was posted in Watercolors on November 11, 2007 by steven. 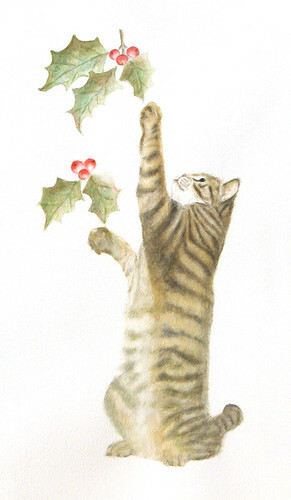 Adine celebrates the holiday season with her new painting, “Mistletoe Cat”. 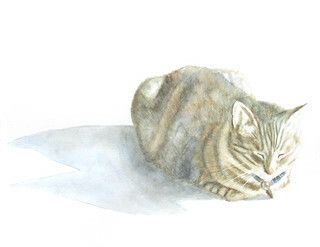 This entry was posted in Watercolors on November 6, 2007 by steven.